Weaving together film history, cultural history, and the offscreen exploits of Hollywood’s most famous swashbuckler, this is the first documentary to explore the impact of American movies in mid-20th century Cuba. 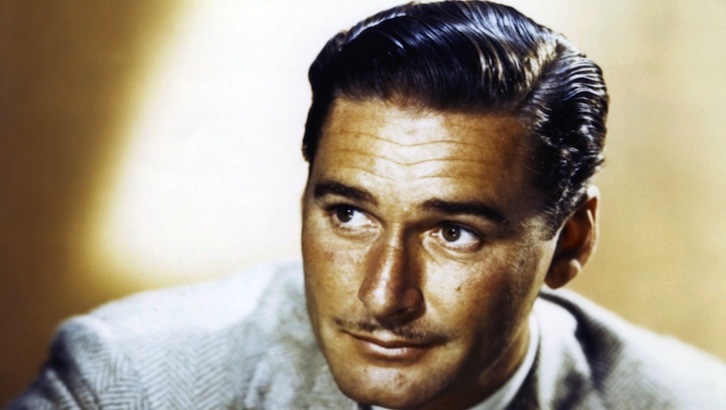 Most of the world knows Errol Flynn as the star of such swashbuckling epics as Captain Blood, The Sea Hawk, and The Adventures of Robin Hood. But the last chapter of the actor’s life included a real-life adventure far stranger and more improbable than the plot of any film he ever made. In late 1958, Flynn traveled to Cuba as a reporter for the Hearst Press, to cover the advance of Fidel Castro’s rebels on Havana. Flynn not only spent five days with Castro, observing some of the fighting firsthand, but was the only American correspondent with Castro when dictator Fulgencio Batista fled the country on New Year’s Day 1959. As Errol Flynn’s Ghost will show, this episode in many ways was a fitting climax to mid-20th century Cuba’s obsession with American movies. In addition to chronicling Flynn's Cuba adventure, Errol Flynn’s Ghost will travel to the island to uncover Havana’s lost movie palaces and the fascination with American culture they once embodied; from the majestic Payret, located in the center of Old Havana and still functioning as a movie venue (including as one of the main sites for the annual Havana Film Festival) to those which have been appropriated for other uses or long since shuttered, among them, the once splendid Cine Arenal, the Cine Moderno, and the Teatro Los Angeles.